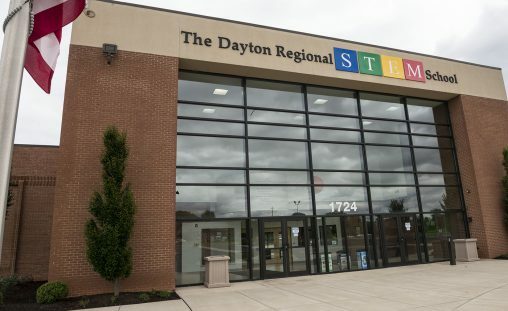 An expansion project at the Dayton Regional STEM School, an affiliate of Wright State University, includes new classrooms, a place for school assemblies and the Gaming Research Integration for Learning Lab. The Dayton Regional STEM School, an affiliate of Wright State University, kicked off a major expansion that will include a novel gaming research laboratory that will teach students how to create virtual environments. David Goldstein, chair of the Wright State Department of Biological Sciences who serves as the president of the STEM school’s board, said the STEM school is an educational model for the region, state and nation. Lawmakers attending the ceremony included State Sen. Peggy Lehner, State Reps. Niraj Antani and Jim Butler, and Congressman Mike Turner. “This truly is cutting-edge innovation in education,” Turner said of the school. The expansion will enable the school of 670 students to increase its population by about 120 students by 2025. Scheduled for completion in March, the expansion will take over two adjacent buildings and add 30,000 square feet to the facility. The new space will include five classrooms, a place for school assemblies with a small stage, and the Gaming Research Integration for Learning Lab, a collaboration with the Air Force Research Laboratory that will focus on gaming software development for the Air Force and in school curriculum around the state. The lab will be filled with computers, gear to create augmented and virtual reality worlds and even cockpits called deployable tactical trainers. The students will be challenged to solve problems such as how to get robots to respond to voice commands and how to build self-driving cars. Solutions with merit may be matured and applied by the Air Force. STEM school officials also announced a fundraising campaign to pay for the $2 million expansion. So far, $1.25 million has been raised. Parents, partners, alumni and other stakeholders will be encouraged to donate the remaining $750,000. 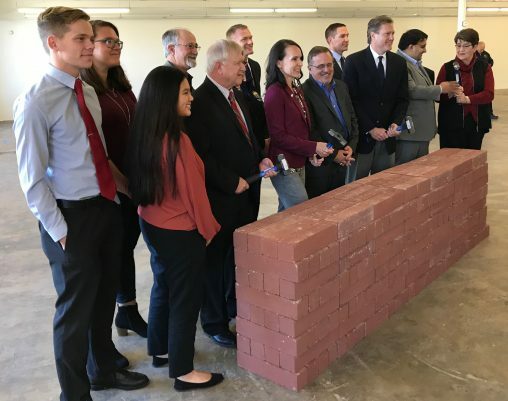 The Dayton Regional STEM School celebrated the start of its expansion project with a “brick-breaking” ceremony. In addition, Vectren has pledged $100,000 toward the Vectren Innovation Lab, a flexible learning space with an industrial vibe for students to design and fabricate STEM projects. The Dayton Regional STEM School is one of 44 public STEM (science, technology, engineering and math) designated schools across Ohio. They are designed to offer students a relevant, real-world education that prepares them for college and the working world. The students participate in inquiry and project-based instruction that marries traditional STEM content with social studies, language arts, the fine arts, and wellness and fitness. And the school serves as a training center to disseminate best practices across the region and state in the pedagogy of problem-based learning. “To me it’s remarkable how the vision of a new model of education has really come to fruition in 10 years,” said Goldstein. The current 670 students come from 30 different school districts in six counties. There were 90 students in the first class, which was only ninth grade. The school later expanded to include grades six to 12. So far, there have been six graduating classes yielding more than 300 graduates. Virtually the entire faculty and staff of the STEM school are Wright State employees. Many of the teachers are Wright State graduates. And the students all have Wright State email addresses. About 30 percent of the school’s graduates attend Wright State, including several valedictorians. The majority go to college in Ohio.